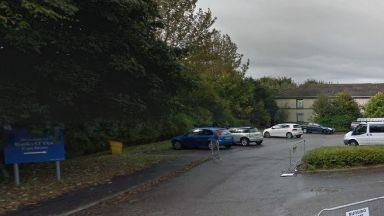 The Care Inspectorate has served a formal improvement notice on Banks O'Dee care home after an inspection raised "serious concerns". The notice has outlined four areas where changes must be made, with a deadline of March 11 set by inspectors. The care home has been ordered to ensure residents' health, welfare and safety needs are met "appropriately and consistently", including making sure there are sufficient numbers of competent and qualified staff present at all times. Management must also make sure staff work together well, and that residents' support needs, wishes and choices are respected. The provider has also been told to ensure residents are able to maintain and develop interests and activities and exercise lifestyle choices. The improvement notice adds that care must be planned in a way which sets out how residents' health, welfare and safety needs will be met and reflects their wishes and choices. "We will visit this care home again soon to check on progress and if we are not satisfied that the matters raised are being addressed urgently, we will not hesitate to take further action." A spokesman for Four Seasons Health Care said: "We are sorry that Banks O'Dee is not meeting the standards we expect our homes to provide. "We have brought in a specialist care improvement team who will be working closely with staff in the home, the Care Inspectorate and Aberdeen City Health and Social Care Partnership."